Air New Zealand has dropped the price of their flights from Vancouver to Rarotonga, Cook Islands in the south Pacific down to $618 CAD roundtrip including taxes. This is a new record for the cheapest flights from Vancouver to the Cook Islands. You may also be able to find these from Victoria (YYJ) for $618 CAD roundtrip including taxes. 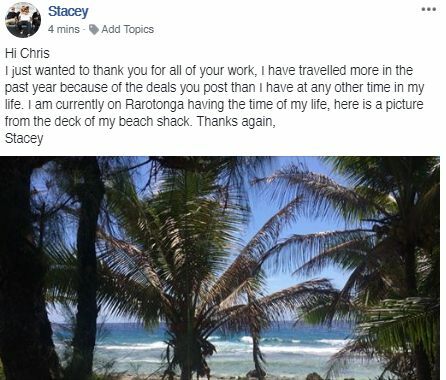 16 Responses to "Vancouver to Rarotonga, Cook Islands - $618 CAD roundtrip including taxes | new record!" This is the deal I've been waiting for - thank you! I would like to stay a little longer and wonder what it means when you say "Still checking for more dates". I'm wondering if I should wait now or book at this amazing price. No problem Diane! I have removed that message. At the time I was still checking for more available dates. But I think that's all of them now. The dates that are listed in the blog post, plus potentially some shorter 6 day trips (try Saturday to Friday dates in the same months). Thank you for noting this fabulous deal. I'm wondering if you can help me with figuring out a glitch with Kayak as it won't let me type in the "RAR" for the airport. Hi Jess, no problem! Have a great time in the Cooks! Ruth: I can't say I've ever had an issue with typing in RAR into Kayak. It always pops up with 'Rarotonga, Cook Islands' when I do. Are you able to type in any other airport codes? Sometimes when a search site gets overloaded, certain features don't always load correctly. What happens if you try to type Rarotonga? Try refreshing the Kayak page with F5 in your browser and see if the airport names load correctly. I've switched computers, it is working now! Thank you for the swift reply. Hey Chris! Been monitoring your deals for a while now waiting for the perfect trip...this is it! I was able to get the October dates (for a slightly higher price, $698) and now my wife & I are off to Rarotonga for our 10 year anniversary next year! Thanks!!! No problem Ruth, glad it's working now. Glenn: That's great to hear, sounds like an amazing way to celebrate 10 years! Prices seems to be going up significantly on all the dates damn ! 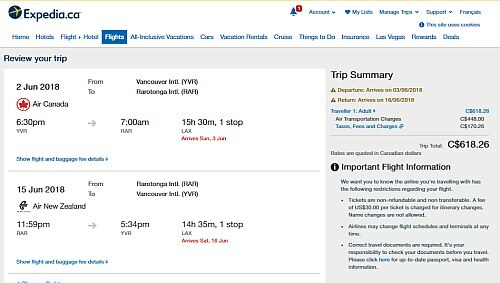 Try using YYJ (Victoria) and some of the $613 prices still seem to be available. Thank you so much, Chris! 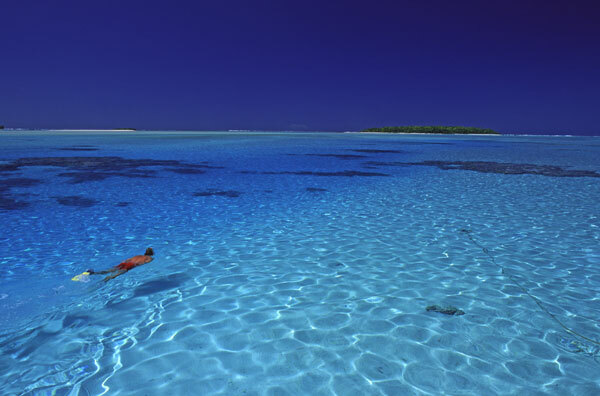 I have been wanting to go to the Cook Islands for decades. I'm having a difficult time finding anything under $1000 from Victoria at the beginning of July. Brendan, I just tried Jul 7-13 on Kayak and seeing $733. The price verified when clicking through to Expedia. I don't know if there ever was a cheap one departing on June 30. I can't seem to find any on your dates at this price. Advice? 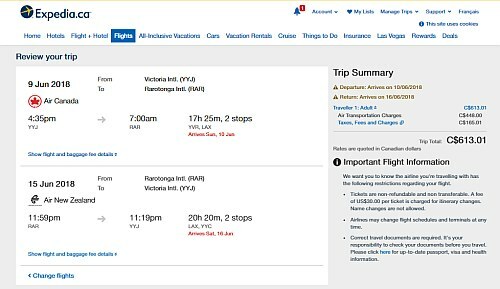 Just tried June 23 to June 29 from Victoria and saw one for $654 on Kayak. Got 5 tickets Victoria to Raratonga in early September for $2,898.48. Under $600 avg., but one child fare. Great tip and thanks!